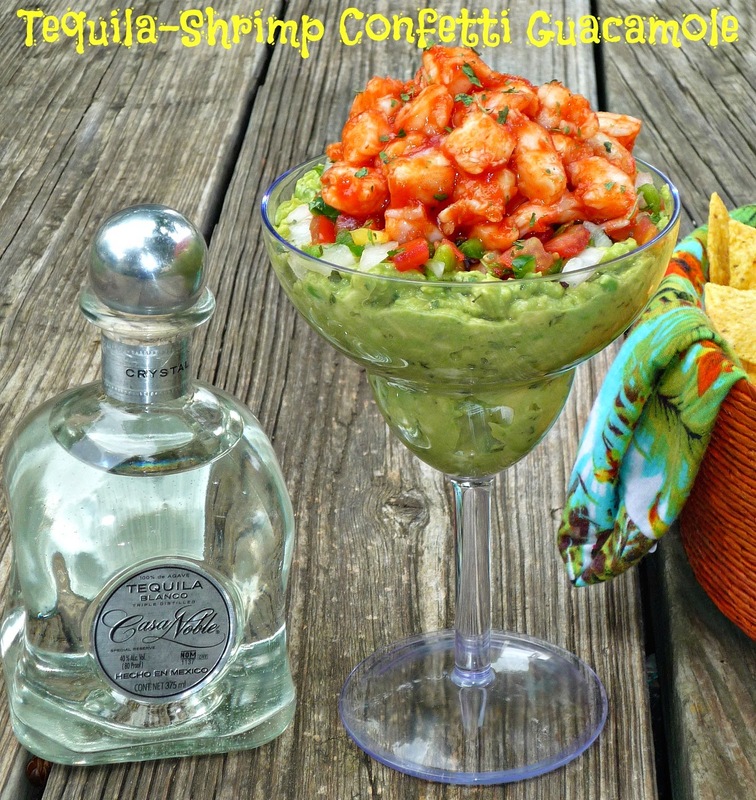 Cinco de Mayo is in a few days…and I have a fabulous cocktail and guacamole duo to share with you today courtesy of my friends at Casa Noble tequila. To me, nothing says Cinco de Mayo quite like a fabulous Springtime cocktail…and creamy guacamole! With Casa Noble’s Crystal tequila, you can be ready to party in time for Cinco de Mayo too. 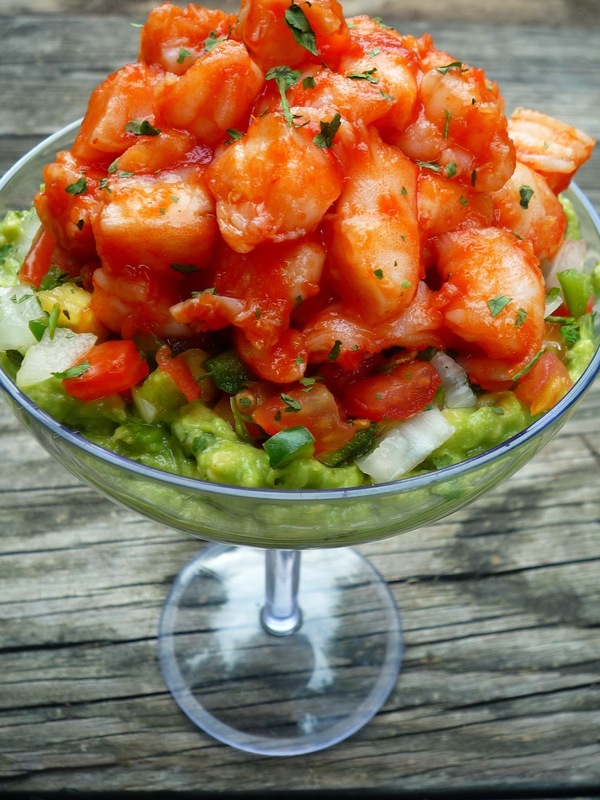 One of my favorite appetizers to enjoy at a local restaurant is a Mexican-style shrimp cocktail. 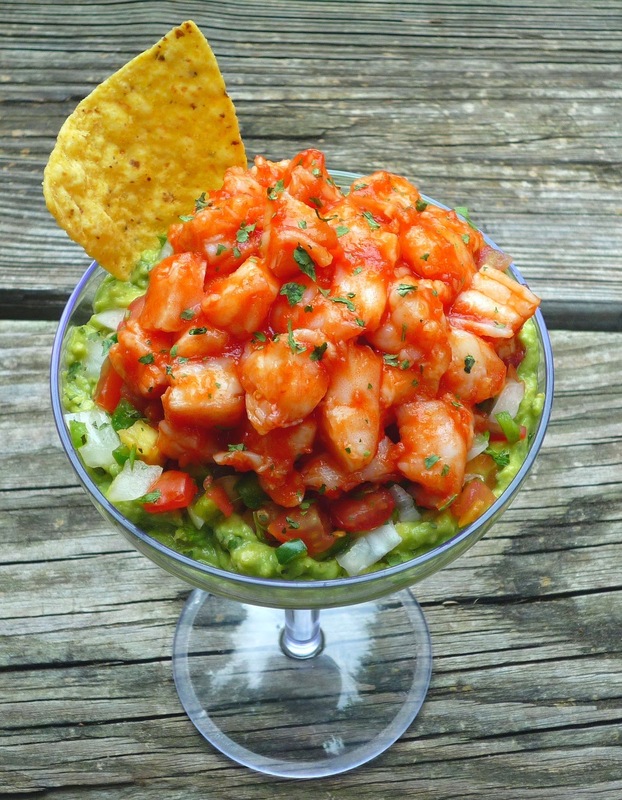 It features a combination of sweet shrimp, cocktail sauce, pico de gallo, and chunks of creamy avocado. This appetizer was the inspiration for my layered Tequila-Shrimp Confetti Guacamole, which features Casa Noble Crystal in every component. 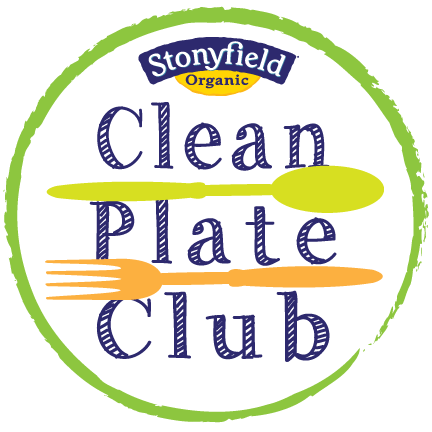 Yes, I went there…and you’re going to thank me when you try this adults-only appetizer! My guacamole features a base layer of tequila and lime-infused guacamole spooned into a margarita glass. 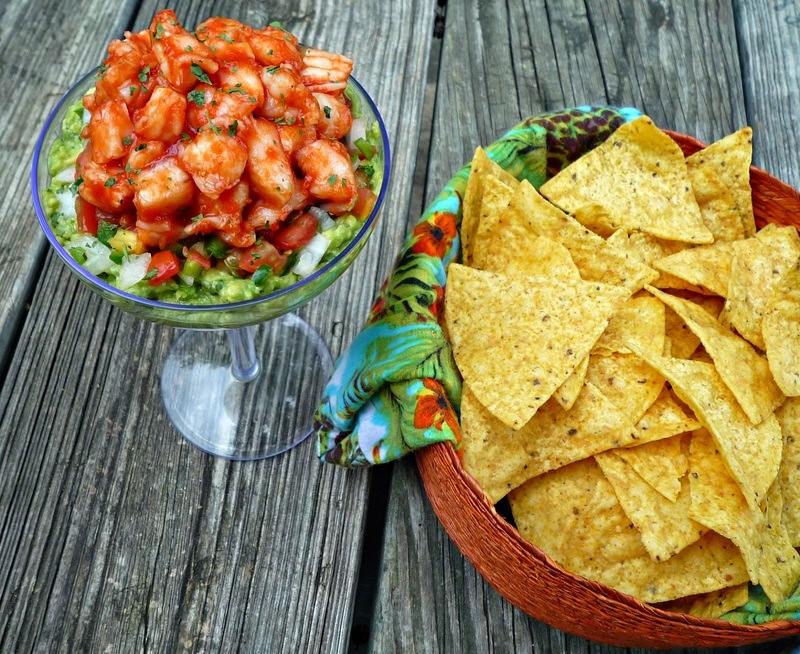 It's then topped with layers of pico de gallo and shrimp tossed in cocktail sauce. This fun treat is pretty to look at…and even better to eat! 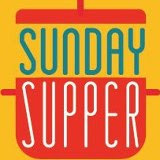 Step 1: Add the avocado, Casa Noble Crystal tequila, lime juice, hot sauce, cilantro, salt, and pepper to a bowl. 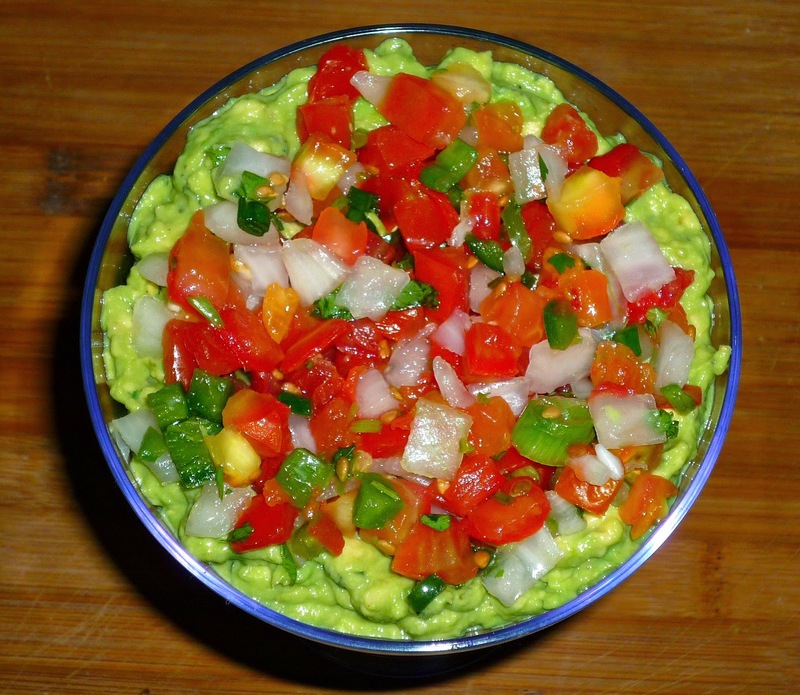 Use a fork to combine the seasonings and the avocado – I like to leave my guacamole a bit chunky. Spoon the guacamole into a margarita glass, and make a small well in the top. Drain the pico de gallo and spoon it into the well in the guacamole layer. Step 2: Combine the chopped boiled shrimp and cocktail sauce in a small bowl. Carefully mound the shrimp on top of the pico de gallo, making sure some of the pico de gallo layer is visible. Sprinkle with a bit more cilantro if you like. Step 3: Serve immediately if possible, but it’s ok to chill in the fridge for up to an hour. Serve this guacamole with lots of warm, salty tortilla chips for dipping…and a fabulous cocktail. This guacamole will get rave reviews. 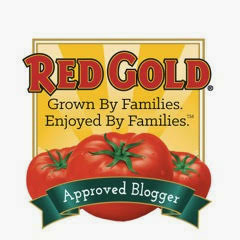 The sweet and tangy shrimp layer, spicy pico de gallo layer, and creamy guacamole layer is a winning combination. The tequila flavor works really well here – but it’s not at all overpowering. Get ready for your guests to go crazy for this festive party appetizer! 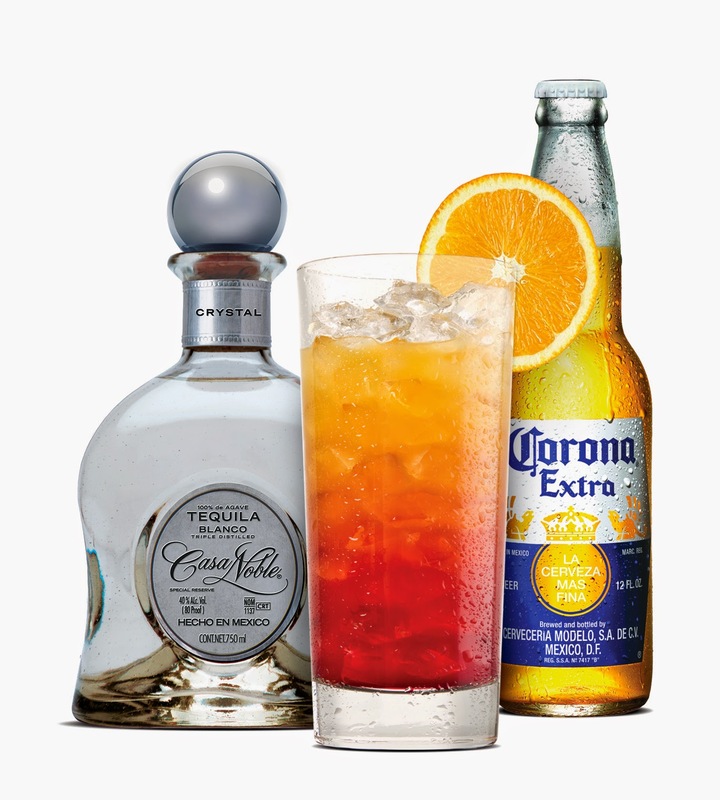 Combine the Casa Noble tequila and orange juice in a chilled pint glass, then add the grenadine and ice. Fill the remainder of the glass with Corona Extra and garnish with the orange wheel. Whether you’re celebrating Cinco de Mayo early this weekend or after work next Tuesday, I hope that you’ll include my festive tequila-infused guacamole and Corona Sunset cocktail in your festivities! Disclosure: Casa Noble provided me with a bottle of Crystal tequila and a gift card to purchase recipe ingredients to facilitate this post. All opinions expressed are solely my own.